Please call individual clinic sponsor at the numbers shown for specific information about each clinic and space availability. For Clinic Schedule and Details, click on the months below to see where Buck will be. Please download and complete the two-page, Release Form and bring it with you to your clinic. If your clinic takes place in Colorado, there is a separate Release Form. All other locations download the form for clinics outside Colorado. 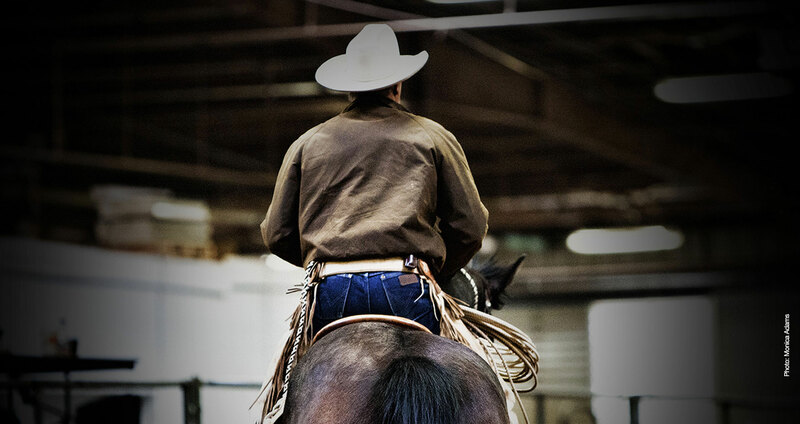 Over the years Buck’s horsemanship classes have changed and been added to. Many people have questions as to just which class is right for them – and more importantly – which is right for their horse. Below is a brief description of each of the classes Buck currently is offering. A class for young horses that may or may not have been handled or worked with, instruction is directed on groundwork and preparation for the first ride. Halter work, gentling and saddling without stress – for both horse and rider – are the main focuses of Colt Starting. The four day class is intended to conclude with the rider safely aboard and beginning work in the snaffle bit. The next phase in the development of the versatile bridle horse. Horsemanship 2 introduces the rider to working the horse in the hackamore and beyond. Horsemanship 1 is a prerequisite for enrolling in Horsemanship 2 unless otherwise approved by Buck. The class involves working cattle and ranch roping so that all aspects in preparing the bridle horse-in-the-making are addressed. Limited to 12 riders, cow working is for the experienced rider who wishes to expose a green horse to cattle work or to help work further with horses already started on cattle. Tracking, sorting and cutting are worked on with the intent of introducing or refining work with stock for the purpose of ranch work. Calmness and precision are stressed as Buck’s Cow Working classes are designed with the working stockman in mind. As the name implies this class is designed to refine and improve rope skills - for both horse and rider - with regard to ranch related activities with stock from horseback. This class is not about timed event roping; rather it is about perfecting a variety of roping shots as well as proper positioning of the horse. Aspects of working cattle outside as well as arena roping are practiced with the ultimate intent of creating a calm and skilled approach to handling stock with a rope. Rider’s relative adeptness with a rope is a plus, but not required. Not all of our sponsor venues are capable of providing the amenities necessary for a full day in the outdoors that sometimes are a distance from services. We suggest you bring your own chair, water, food, sunscreen, hat and coat to name a few. Consider bringing items that will keep you comfortable and able to focus on the horsemanship experience.